A leading Christian intellectual explores the newest strain of atheism, its foremost thinkers, the cultural conditions that have bred it, and how Christians should respond. Something has changed in American culture. What for years was a little-regarded belief system—atheism—has now gained a large, and increasing, national hearing through the writings of “new atheists” such as Dawkins, Dennett, Harris, and Hitchens. 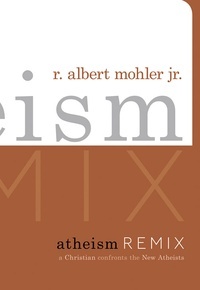 Wanting to both inform and equip serious-minded Christians regarding this cultural shift, R. Albert Mohler Jr. explores the environment that has bred the “new atheism” while also introducing readers to the movement’s four leading thinkers and the contours of their arguments. Mohler—deemed “the reigning intellectual of the evangelical movement in the US” by Time magazine—then uses this foundation to pinpoint eight major distinctives that make the new atheism new, and to discuss the future of Christianity in relationship to it. At school and in the community, Christians are sure to encounter people who have been shaped by this strain of atheism. Here is keen insight that any believer can use to understand and challenge the new atheists.